It’s is an amazing and sensational feeling to get your first skateboard delivered and ready to hit the street. All the hype and energy skyrocket when you start something new. I highly suggest you start with some skateboard tricks for beginners. In this guide, you will find eight very beginner-friendly tricks that anyone can do! In addition to that, I suggest for your best interest to skate on a beginner skateboard first. 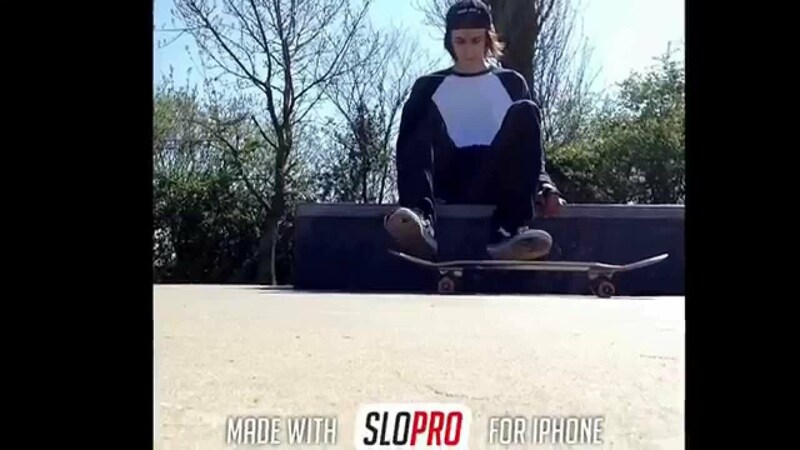 Check out my article here for the best skateboard for beginners. What are the benefits you get? How do I perform this trick? I will break it down in steps for your easy practice here! First, make yourself to stand balance on your skateboard. Then proceed to stay balanced and focus your movements while you rolling slowly. Once you feel confident and stable on the skateboard at your own speed, move on to the next step. Now spread your feet to the end of your skateboard’s tail and nose. Don’t go too far away to the tips though, best is to have your feet right above the trucks and wheels position. Now try to roll toward a curb, street or park curbs are easy to find. I highly recommend you try a low curb first then move on to the higher curbs. As your skateboard’s nose nearly hit the curb, you lighten your feet (at the skateboard nose). Then, you transition your weight backward to the other feet (at the tail position). This is to lift up the skateboard nose and get it over the curb. Next, you reverse this process by transitioning your weight back to the front feet. Following up by lightening your back feet for the rest of your skateboard to go over the curb. That is it! Pretty easy for everyone! Congratulation! So you learn how to get up a high curb! Now you are going to roll it off. A simple rolling off a curb won’t be an issue for you, I have no doubt about it. If you can add a twist at the very edge of the curb, it would be very awesome. To pull off this trick, right before your skateboard nose come near the edge of a curb. Immediately transition your weight to the leg at the tail position, also lighten your front leg so the nose can lift up. If you not confident practicing near the edge, you can try the above process first on a flat surface to get more confidence and control. You can simply let the tail slide on the surface before it slides off the curb (aka the Tail Drop). Then, transition your weight back to the front leg to finish the trick. 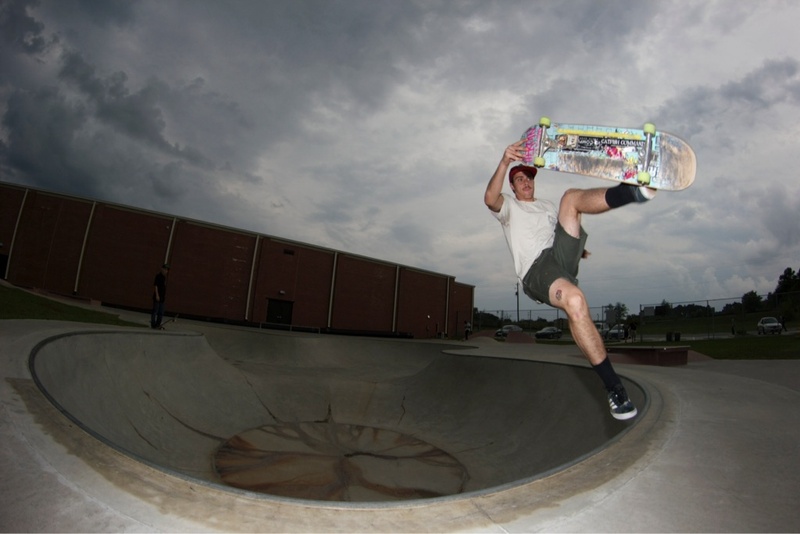 Do a 180-degree switch – you can redirect your front leg (while it lifts up along with the skateboard nose) and turn the nose either left or right about 180 degrees. By the time, the tails still slide toward the edge of a curb. Then, you transition most of your weight back to your front leg and lift up the other leg (at the tail position). It will look like you do a 180-degree spin right before coming off a curb. The nose position now switches with the tail position and vice versa. So get creative with this one! Here are some examples with a clear tutorial. Time to take it to the next level! Unlike the previous trick, where I advise you to use your front leg to redirect the nose part to switch with the tail position. This time your back feet (in the tail position) will do the spin and you actually jump a bit in mid-air. The skateboard will spin 180 degrees and you land right back on your skateboard to finish the trick. Use the back leg as your leverage to kick yourself up, having both feet up in mid-air and leaving space for your skateboard to spin. At the same time you kick yourself up, also use the back feet to redirect the tail clockwise to create the spin. Don’t get upset If you can’t get it right in the first 15 minutes. Try to set up the tail position to have spaces between your wheels and the curb. So they won’t hit each other once you start the back kick. Combining this with the simple tail drop, good timing and the Shove It mastery. You just impress everyone around you! Don’t give up once it gets more challenging! Watch the video tutorial again to get the best idea! It will even better if you can get a certainly specialized skateboard for tricks. You can practice easily these new tricks with them and learn faster. This trick might look simple, yet it is essential for your skill development. Rolling slowly while you stand firmly on your skateboard. prevents your nose lifting up by itself when you take off your front leg. Slightly lean down, take off your front leg to the ground and immediately grab the nose part with one hand. You also use your back leg to make a small jump along with your hand lifting up the nose. You will definitely feel awkward at first, but trust me it is for your own good! Try to practice until you feel comfortable with this trick before moving on. Here is another tutorial video on how to do a bean plant. Like doing a Shove It on a flat surface, this time you are going to let your hand do it! This trick is important to train your upper body synergy while you perform. I have seen many skateboarders ignore training their upper body and focus only using their legs. It is a grave mistake! As your whole body is skateboarding not just two legs right? As you ready to do a Shove It, lean down instead and grab the nose part of the skateboard. Make sure both your legs are in the bolt position, not too far away to the tail or nose. Then, you are going to make a small jump up on your skateboard. Immediately, right after that, use your hand to spin 180-degree. Once you land, the nose and tail position should have switched and you have a smooth landing. Again, take this slow! It looks simple and even easier than a normal Shove It. But trust me! This is how it becomes advanced in this video example. You can see this is similar to a normal tail drop on a curb. Believe it feels different when you skate faster! Up to this point, you learn to “walk” on a skateboard just fine, now you want to “run” with it. So, get on a ramp, swimming pool, or any high-level surface to get more speed! Like a tail drop, you can ready your skateboard tail on the edge of a drop. Let yourself go and feel if you can balance well on high speed rolling. If you feel more confident, try to mix some of the tricks you have learned before as your skateboard slowing down. You can check out some of other people’s first Drop In videos, have fun! Here is something easy for you to practice and have fun! Walk The Dog is a great trick to maneuver and get your feet familiar to the redirection. 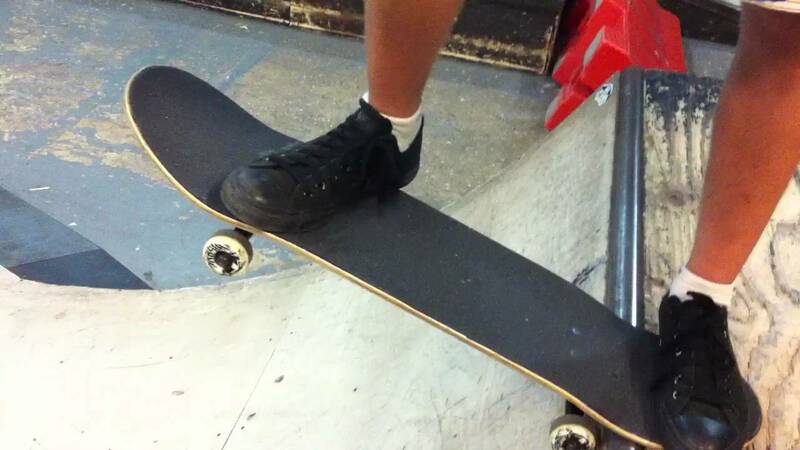 You just need to plant your front foot on the center of your skateboard deck. For the whole trick, your front foot will be the pivot point to spin the skateboard’s nose and tail consecutively. Then, you position your back foot near the tip of the nose/tail. As you roll slowly, you press down your back foot and turn it clockwise. Immediately, you can slightly lift off your front leg’s heel a bit. This allows the toe (position in the center) acting as the pivot for the skateboard to turn 180 degrees. That’s is, you can do this over and over again! Here is a smooth example video for you! Remember that your front leg will remain in the deck center at all time! This helps you focus on the smaller parts of your legs like toes and feet. What else can you do after getting tired all of the practices? Just sit down on a bench or stair, relax and… get your legs to do something fun! YES! Try anything! Like these two guys having fun in this video! Skateboarding is about style, freedom and having fun! Just get crazy, try to use your feet to do flips, maneuver, turns, spins, anything while you are sitting down. I bet you will have lots of “Eureka” moments or rare footages too! Be creative and design your own style from here and beyond! That is all of my suggested skateboard tricks for beginners. I wish you good luck on your skateboarding journey.